Due to its significantly lower capital requirement than a typical CIL/CIP process, heap leaching is a cost-effective method for recovering gold from many deposits. The typical heap leaching process consists of mining, crushing, leaching, and recovery. After the crushing stage, the ore is deposited on a leach pad where a cyanide leach solution is added to separate the gold from the ore. The cyanide leach solution solubilizes the gold to separate it from the ore. The gold-laden leach solution is then pumped to an adsorption, desorption, and recovery (ADR) plant to recover the gold. Recovery is performed by introducing carbon to the leach solution to adsorb the gold. The clean solution is then pumped back to the leach pad to continue the process. Due to the nature of this process, unless the gold-bearing carbon is captured and retained in the ADR plant, the carbon particles will remain on the leach pad adsorbing and retaining gold where it cannot be recovered. Six Derrick dual motor linear motion fine screening machines were installed to capture the fine carbon particles in the ADR plant. 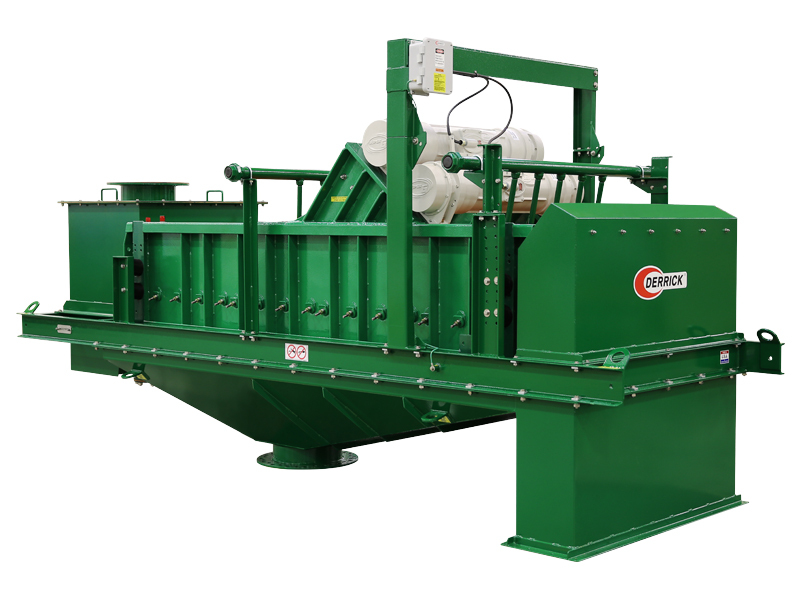 When combined with non-blinding 200 mesh (75 micron) Polyweb® urethane screen panels, the Derrick machines prevent the carbon fines from being transported back to the leach pad where they could plug the emitters. More importantly, gold recovery is maximized by preventing carbon fines from being deposited on the leach pad where the carbon fines can continue to retain and absorb gold. 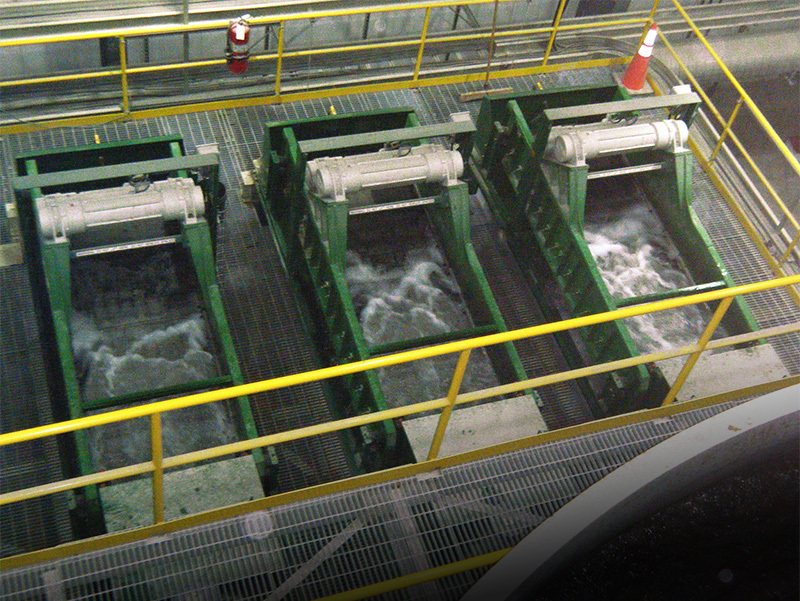 Download to discover how Derrick’s Linear Motion Screens maximized gold recoveries.